Travel for sporting events quite often features in my wanderings. 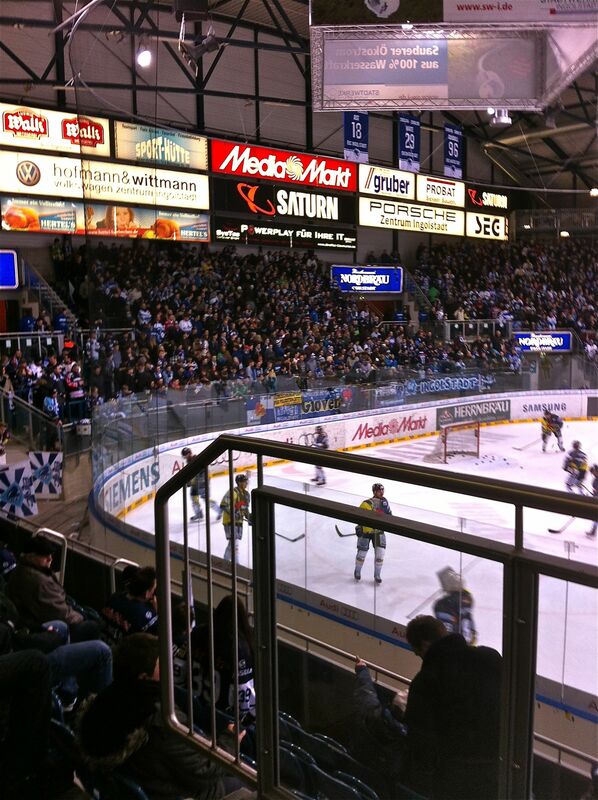 Sometimes it’s for a big event like horse racing at Royal Ascot or the DEL playoffs (German ice hockey). Often it has been something less exotic – my son playing in an ice hockey tournament somewhere. Times move on, and this weekend while he was playing for the Edinburgh Eagles (the universities team) at the National Championships in Sheffield, I was in Munich to see FC Bayern play Freiburg in the Bundesliga. I didn’t know about his tournament until after the trip to Germany was booked. The football outing was Dagmar’s Christmas present to her teenage daughters – good tickets are hard to get, and one of her patients got us 4 Tier 1 seats – €60 each, so a pricey treat. It brought back memories of my dad taking me to my first big football game – Hibernian (from Edinburgh) against SV Hamburg in one of the old European competitions. It was soon after the 1966 World Cup, and a few of the German players were household names even in Britain. I remember Uwe Seeler (one of the World Cup stars) scoring a goal. Other big football events include a European Cup semifinal in Madrid – Real v Ajax Amsterdam, when Ajax were supreme. Johann Cruyff & co. I happened to be passing through Madrid at the time, as one does. Seeing New York Cosmos play at the Meadowlands when they had Pele in the team was pretty special. So was a Saturday evening ferry ride to see a Fenerbahçe home game. For the Munich trip we teamed up with Qendresa and Anna-Marie who are work colleagues of D’s and also had tickets. Q has a people carrier, so that made sense for the travel. 100 mph all the way down the A9 Autobahn. Plenty time for a Paulaner and Bratwurst before the game, and a wee raid on one of the fanshops. The game? Not memorable. Bayern had won the league the weekend before, plus they’d had a huge Champions League win over Barcelona in between. Quite a few stars had picked up minor injuries which needed rest. Freiburg were good enough to keep them out most of the time, but not good enough to achieve anything themselves. 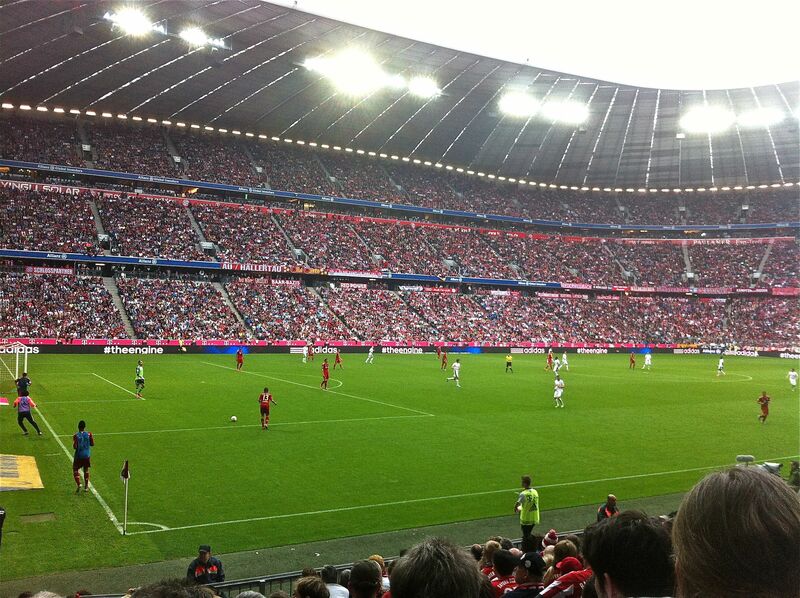 Bayern won 1-0 through a Xherdan Shaqiri goal. A cross which everyone missed, and ended up in the top corner. Its a fantastic stadium of course. A guided tour had been my son’s birthday present back in December, so I knew my way around. 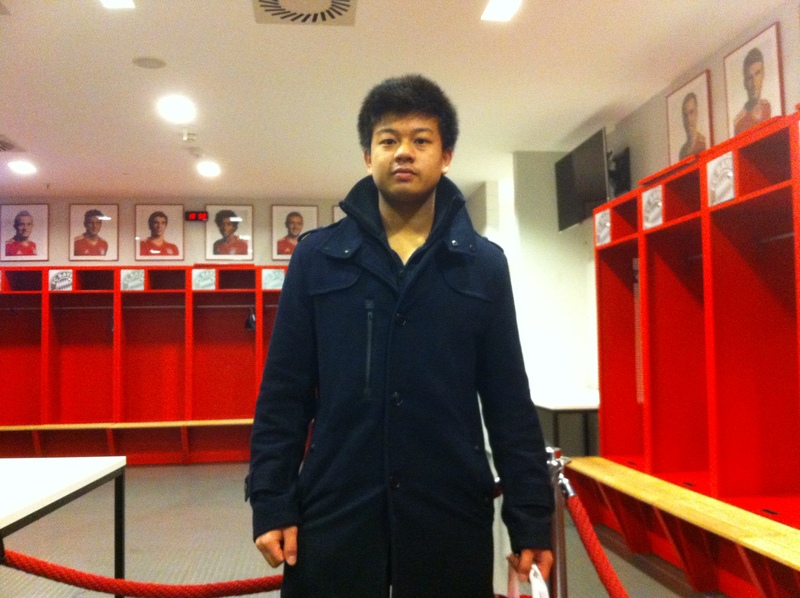 This entry was posted in Ingolstadt, Istanbul, sports, Uncategorized. Bookmark the permalink.